Chingay Parade is organised and managed by the Singapore Chingay & Events Network (SCENE) of the People’s Association (PA). Chingay Parade 2019 will be held on Friday, 15 and Saturday, 16 February 2019, 8.00pm at F1 Pit Building. We will also be organizing one National Education (NE) show on Saturday, 26 January 2019. Every year, the Chingay Organising Committee requires the support of over 2,000 volunteers from various educational institutions in various aspects of the parade as our hospitality ambassadors, production crew, motivators, crowd control, traffic management, F&B and logistics volunteers etc. Volunteer support is crucial to the smooth operations of Chingay and the major rehearsals prior to the parade. 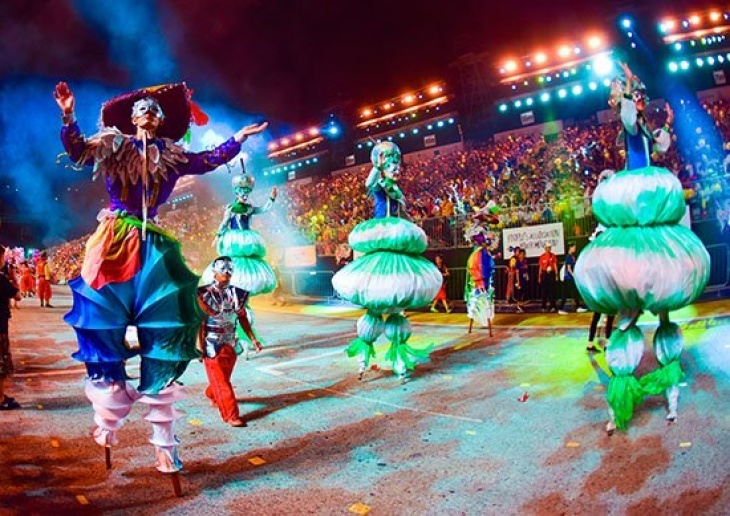 This National Event is also the largest street performance and float parade in Asia. From the main parade site to the heartlands, this street extravaganza epitomises the dynamism of Singapore's vibrant and multicultural society. The word Chingay is equivalent to the Mandarin zhuang yi (妆艺), which means "the art of costume and masquerade" in the Hokkien dialect. The First Formal Chingay Parade in Singapore was mooted by the then-Prime Minister Lee Kuan Yew who was also the chairman of the People's Association (PA). Chingay, with all its noise and gaiety, would compensate for the ban on firecrackers, a customary New Year practice to drive away evil spirits. For its first street parade on 4 February 1973, the PA teamed up with the Singapore National Pugilistic Federation for a grand show in the Year of the Ox, depicting aspects of Chinese culture – dragon and lion dances, martial arts and street opera. So well received was the first Chingay Parade that the PA made it an annual festival. It celebrates its 40th anniversary in 2012. Chingay took on a multicultural flavour from 1976.